Our theme this week for the Virtual Book Club for Kids with your preschool is Chicks. It’s a fun spring theme and also great as we head towards Easter so you can use it whether you celebrate or not. We’ve featured a fun counting book this week Count with Maisy. Cheep, Cheep, Cheep! by Lucy Cousins. So scroll down to find your 5 hands-on, easy and simple activities to play, learn, create and have fun with your preschool as well as more ideas and some other teacher recommended chick books to read together. So here we go our weekly plan for Chick Themed Activities for Preschoolers. Virtual Book Club for Kids Featured Book Count with Maisy. Cheep, Cheep, Cheep! We are featuring Count with Maisy. Cheep, Cheep, Cheep! by Lucy Cousins this week for our theme of chicks. Maisy is another one of our favourite book characters. The books are simple and explore lots of different situations as well as focusing on specific learning like this one. In the book, Maisy helps the Chicken to find her chicks as they count from 1 to 10 around the farmyard. As you lift the flaps talk more about the places and objects in the farm as well as the animals that you and your preschooler will find as you read the book together. This week’s theme is chicks and we’ve tried to find activities that can be used for the theme that don’t necessarily relate to Easter chicks although some of the activities do use eggs from Easter and more in the materials. We’ve provided 5 simple, easy and hands-on activities that we’ve chosen because they promote learning, playing, creating and let you and your preschooler have fun together. If you want to do 1 activity or all 5 that is up to you. Below you will find a suggested schedule for the week. This is only a suggestion and you don’t have to follow this schedule just do what is right for you and your family. This week’s sensory play activity is a hatching chick sensory bin. It’s simple to set up and we found lots of the chicks and eggs in the store that are perfect for this activity. Our letter activity this week is to hatch letter chicks. Add a few eggs to your sensory bing filled with this adorable alphabet chicks for letter play. Using colored rice you can create your own sensory bin to include hatching chicks. Then sort by color or introduce addition with your preschooler with the suggested math activities to do. We’re getting creative with our food and making Cracker Chicks with our preschoolers this week. It’s simple to do, fun and tasty. They will love constructing their chicks as well as eating them. Our craft this week is a fine motor and scissor skills activity as well as a craft. We’re going to make Snippy Chicks. With preschoolers and toddlers learning to use scissors safely and correctly whilst being supervised is fine. We recommend child scissor with a blade as they won’t get frustrated with it not cutting properly. Although we have a featured book each week here on the Virtual Book Club for Kids. We know that sometimes it’s not possible to find these or you may wish to include a few more in your reading together this week. So as well as the featured book above we recommend 3 more books that we as teachers and parents recommend as well. 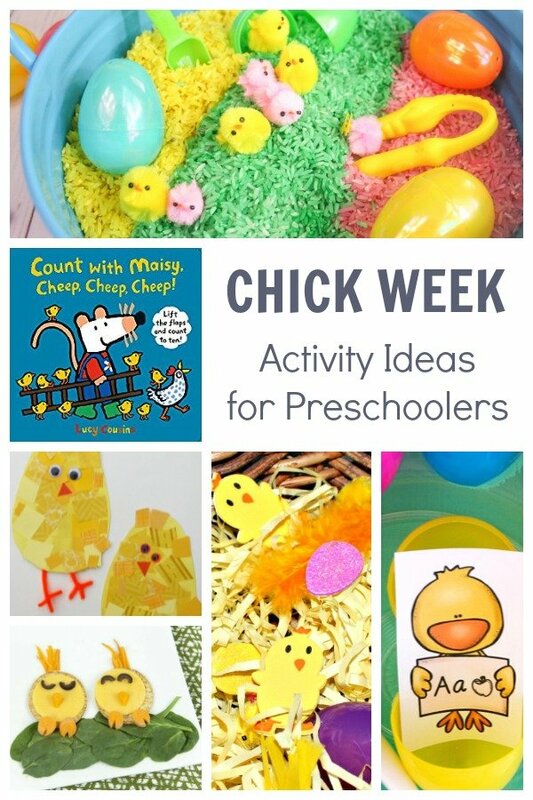 If you want to add more chick themed activities to do with your preschooler or switch out the suggested ones above then check out our Chick Theme Pinterest Board below. 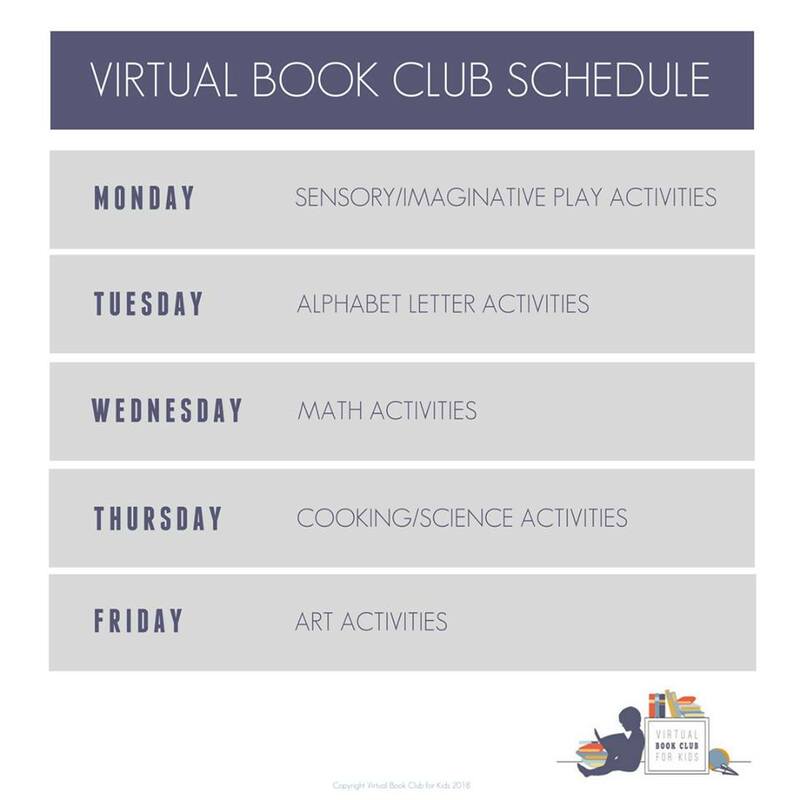 Don’t forget to follow our Virtual Book Club for Kids Account to find ideas and activities to do with your kids throughout the year. Our theme next week is Easter Eggs and our featured book The Easter Egg by Jan Brett.